Base metals prices on the London Metal Exchange are mainly firmer this morning, Friday February 10, with three month prices up an average of 0.8%. Stronger-than-expected Chinese trade data bodes well for metal demand. Lead and zinc prices lead the advance with gains of 1.5%, nickel prices are up 1% and copper is up 0.5% at $5,878 per tonne. Tin prices are up 0.3% at $19,180 per tonne, while aluminium is off slightly at $1,850 per tonne. Today’s moves show some dip buying following general weakness on Thursday when prices closed down an average of 0.7%, with lead showing particular weakness as prices were down 2.7%. 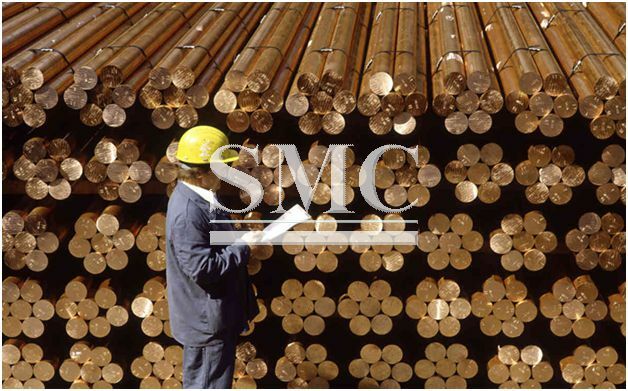 In Shanghai this morning, the base metals on Shanghai Futures Exchange have generally avoided reflecting the weakness seen on the LME on Thursday, as prices are up an average of 0.4%, led by a 1.4% rise in zinc prices, while copper and tin prices are up 0.6%, with copper at 47,950 yuan per tonne, nickel is the only metal showing some price weakness with prices down 0.2%. Spot copper in Changjiang is showing a fall of 0.8% to 46,800-46,920 yuan per tonne, which seems odd when futures are showing gains. The explanation seem to be that the spot price was set earlier in the day when prices were lower, but futures prices have since bounced following the China trade data release. The base metals remain well placed to push ahead with their advances and the stronger Chinese trade data, combined with bullishness over Trump’s likely tax reforms, may well add fuel to the rallies that have in recent weeks continued to meet resistance at the higher numbers. The stronger dollar may act as a headwind, but given the renewed bullish undertone today prices may be able to forge ahead regardless.